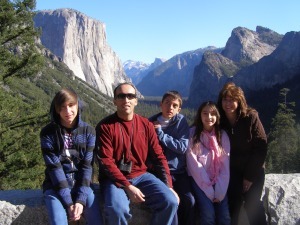 Kathy is married to Glen, her husband of 20 years, and has 3 children Jake, Zack and Lexi. After working in the Insurance industry for many years, she decided to stay at home to look after her children and homeschool Zack, who had Autism. Zack has many global delays in speech and social areas, which can be very challenging on a day to day basis, but his quality of life has been greatly improved by a special diet and Chelation. Although having a child with Autism can affect your relationship with your partner and the rest of your family, Kathy has learnt to be more patient, less judgmental and never to give up. You love unconditionally, to know when to walk away, to expect the unexpected, to take chances and pray more effectively and fervently. Like all parents we have hopes and dreams for our children. Kathy hopes that one day Zack will be able to talk, hold down a job, find his purpose and even overcome Autism completely. That he will have his own testimony. during the first three years of life and is the result of a neurological disorder that affects the normal functioning of the brain, impacting development in the areas of social interaction and communication skills. Both children and adults with autism typically show difficulties in verbal and non-verbal communication, social interactions, and leisure or play activities.? Characteristics of Autism: The most visibly noticeable characteristic of Autism is the lack of communication and speech delays, and they typically present themselves between the ages of 2 and 6 years. As a baby autistic children don?t ?gurgle? or make any sounds. There is no pointing or gesturing. The child does not say single words and as they get older they cannot put two words together. Has lost social skills and language abilities. -Children have no fear of danger. -They are either over or under sensitive to pain. -Children usually prefer being by themselves. -There is a noticeable difficulty in expressing what they want. -May copy words or phrases. -They may develop inappropriate attachment to objects. -Some children tend to spin themselves or objects. -They thrive on routine and things always being done the same way. -Some children laugh when it?s not appropriate to the situation. -Tantrums for no apparent reason. -They may avoid being cuddled. -They may injure themselves when upset. -There is a noticeable difficulty in interacting with others. Join in and write your own page! It's easy to do. How? Simply click here to return to Focusing on Families. Subscibe to our "special Needs Child" newsletter. Your e-mail address is totally secure. I will never share it with anyone.